Though there is a perception that maintenance costs money and a solar system should run on its own, preventative maintenance can increase your ROI by 25% and reduce your cost significantly. Our strategy is to look at complete system and plant design - so everything to do with electrification, grid integration and connection, exceptionally also extends to the panels themselves - to provide one integrated package to customers to optimize overall plant design for cost-efficiency, and financial services as the project enabler. 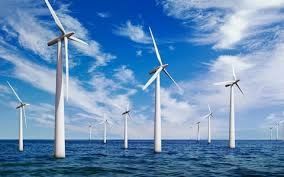 From wind turbines to wave power, renewables is a buoyant market. However, it's wind power that has made the most significant impact on how we generate and use energy - and we're becoming increasingly reliant on it as an energy source. Solid Power is developing the next-generation of all solid-state rechargeable batteries. Our materials platform is centered around our solid electrolyte, which takes the place of both the separator and traditional liquid electrolyte in our cells. AWEA launches new campaign "Take Time to Take Care"
Soiling of the panel glass is one of the major problems in the rapidly expanding solar energy market, with the attendant loss of efficiency and reduction in performance ratios. Now, there's a new, simple and very cost-effective alternative. 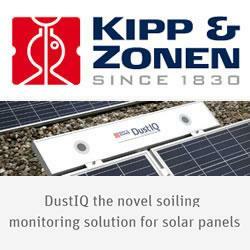 Based on Kipp & Zonen's unique Optical Soiling Measurement (OSM) technology, DustIQ can be easily added to new or existing solar arrays and integrated into plant management systems. The unit is mounted to the frame of a PV panel and does not need sunlight to operate. It continuously measures the transmission loss through glass caused by soiling, so that the reduction in light reaching the solar cells can be calculated. Learn More About Kipp & Zonen USA Inc.
Lufft manufactures high quality and precision weather monitoring equipment. Our all in one weather stations integrate into any system and measure solar radiation, wind speed, wind direction, temperature, humidity, barometric pressure and rainfall. Lufft has been around as a company for over 130 years. It is our pride to continue to advance product design and research. We will continue to live up to our philosophy of "tradition and innovation".